Anytime there's a big version jump, there's almost always something pretty big to be found. The Google app just leapt from v5.14 to v6.0, but those big new features don't seem to be showing up quite yet. That doesn't mean there isn't still something to see. A teardown shows that there are at least a few things to look out for, either now or in the future. This version appears to be rolling out through the beta channel, so if you want to check it out without signing up to the beta, or if it hasn't rolled out to you yet, there's a download link at the bottom. Sorry, this one doesn't install on the N Preview. As a quick note, while new features don't seem to be presenting themselves just yet, updating to v6.0 has given me the new on-screen text selection feature that hadn't previously gone live on my account. I'm not sure if this will work for everybody, but it might. We're still looking for things that may have started with this version. If you see anything, let us know in the comments. Cutting back on data usage has been a popular theme lately. Between encouraging developers to better optimize their image resources and putting some of its own apps on a diet, Google has really been driving at reducing digital traffic for regions with limited cellular and Wi-Fi connections. Now it looks like a "data saver" feature is in the cards for the Google app. It's not visible yet, but a data saver group is currently set up to appear in the Settings screen between Search Language and Voice. 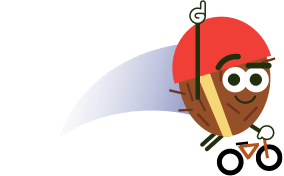 So far, there's just the title and a header entry for the single top-level group; there are no signs of exactly what options will be available to configure when it goes live. While we're talking about the Settings screen, there's another set of options coming in the future. This one is also hidden from view, but there's space set aside for a new preference group to appear in the Accounts & Privacy screen. This one is dedicated to "signed-out search." The name is fairly self-explanatory, these are going to be settings that apply when there's no user signed in, or perhaps if something like incognito mode is active – but specifically for activity taken through the Google app, search bar, and other things like that. There aren't any individual settings listed here, but it's easy to imagine that these will give users the option to record history, control certain behaviors, or to remember some settings. The Google app has three cute new characters to light up the screen. 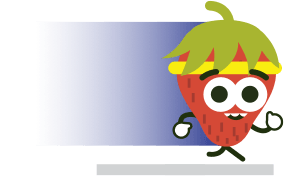 A trio of anthropomorphized fruits now appear among the images in the apk. 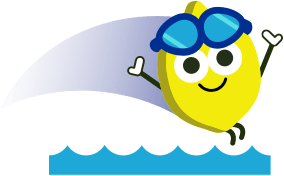 Each is performing some sort of exercise: a strawberry is jogging, a coconut is riding a bicycle, and a lemon is diving into water, presumably for a swim. The exact purpose for these images isn't spelled out, and there's no text to go on, but it's pretty obvious they will be used to illustrate workouts in some way. I immediately considered that these exercises are extremely popular among those that wear activity trackers, but that may just be a coincidence. It will be interesting to see if any other exercising fruits turn up in future releases. Finally, it looks like the Google app will be able to snooze reminder notifications in the style of Inbox. A few new strings related to snoozing have been added in this release. They include increments of 10 minutes and 1 hour, then switch to general terms like afternoon, evening, tonight, tomorrow, and tomorrow morning. While there is usually some room for interpretation and guesswork about how the strings will be used, there is no doubt with these. The new lines are mixed in with a few older strings that paint the rest of the picture. The key phrase reads "reminder snoozed," making it obvious these will be used with reminders. Now, let's see if we can end up snoozing reminders like we do with our alarm clocks.